Screening will be held at the Portland Art Museum. Chasing Portraits documents Elizabeth Rynecki’s quest to find the paintings by her great-grandfather lost during the Holocaust. Moshe Rynecki’s body of work reached close to 800 paintings and sculptures before his life came to a tragic end. Decades later, his great-granddaughter Elizabeth sought to rediscover his legacy, setting out on a journey to find what had been lost but never forgotten. A Q&A with filmmaker Elizabeth Rynecki will follow the screening. Organized in partnership with the Oregon Jewish Museum and Center for Holocaust Education (OJMCHE), the Northwest Film Center, and the Institute for Judaic Studies. Presented in conjunction with Memory Unearthed: The Lodz Ghetto Photographs of Henryk Ross at PAM and The Last Journey of the Jews of Lodz at OJMCHE. Tickets for Portland Art Museum members are $8 and available on the Northwest Film Center website. 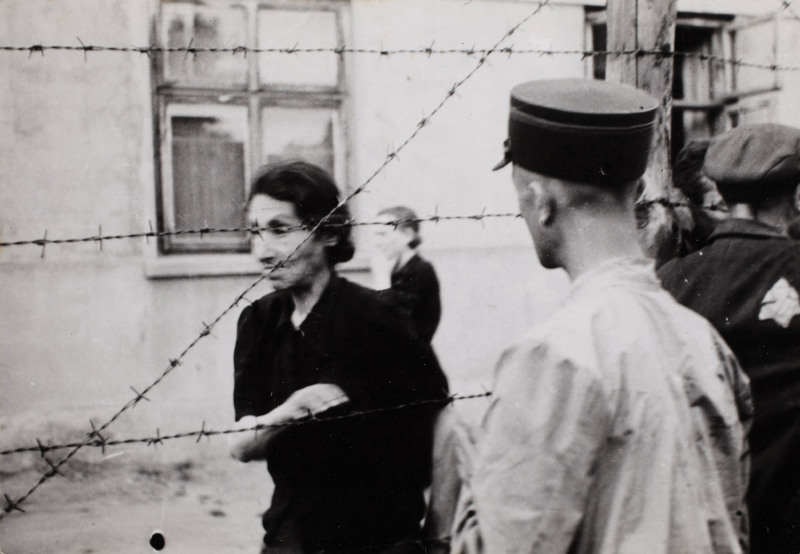 Henryk Ross, Ghetto police with woman behind barbed wire, 1940-1944, gelatin silver print, Collection of the Art Gallery of Ontario, gift from Archive of Modern Conflict, 2007, © 2018 Art Gallery of Ontario.